With no competitive college soccer this semester, all eyes are on the battle for the English Premier League title which is currently being battled out between Manchester City and Liverpool with Tottenham Hotspur also in contention. As the race for the title reaches boiling point, Man City currently lead the league on goal difference from Liverpool who have a game in hand to reclaim their lead. Tottenham are five points adrift of the pace setters. Man City went into the season as overwhelming favorites after rioting to the title last season. Pep Guardiola has done a remarkable job as manager for the blue side of Manchester and they remain contenders for an unprecedented four trophies this season; the Premier League, the Champions League, The League Cup and the F.A. Cup. 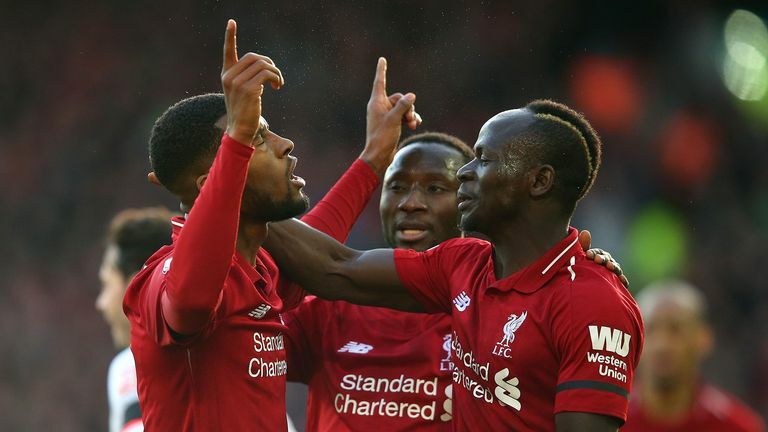 However, uncharacteristic slip-ups against the likes of Crystal Palace, Leicester City and Newcastle United allowed Liverpool to take pole position in the title race. Liverpool, who haven’t won the league since 1990, had the opportunity to open up a ten point lead at the top of the table in January but goals from Sergio Aguero and Leroy Sane helped City to a 2-1 win against their main rivals to close the gap to four points. Since then, Liverpool have faced their first real blip of the season with back to back draws against Leicester City and West Ham United which allowed City the opportunity to close the gap even further. Liverpool’s drop in form has coincided with the loss of three of their key defenders; Trent Alexander Arnold, Dejan Lovren and Joe Gomez. It is paramount for the Reds that they get their players back fit as soon as possible if they are to maintain their push for their first title in 29 years as their defense has been a catalyst to their incredible first half of the season. Next up for Liverpool in the league is a trip to their bitter rivals, Manchester United. Liverpool go into the game knowing that defeat will put the title back into Man City’s hands. Man City don’t play a Premier League game again until the end of the month where they host West Ham. The biggest question mark surrounding City is whether they can juggle their squad to keep everyone fresh and compete in four tournaments. They play three times before the West Ham game, including a League Cup final against Chelsea at Wembley. Another factor that may give Liverpool the edge is Man City’s desperation to win a European Cup. Guardiola is a compulsive winner but perhaps the opportunity to help City win their first Champions League title may see him rest key players for important Premier League games. Tottenham should not be excluded from the discussion but with the overall form of the top two so far this season being so strong, Spurs would need to virtually win every game between now and the end of the campaign while hoping results of the other two teams go their way. However, the return of their top marksman from injury, Harry Kane, imminent, that could be the inspiration they need to ensure a history making season for the North London club. With just 12 games remaining for Spurs and Liverpool (11 for Man City), there are bound to be many more twists and turns. With Man Utd still to host both City and Liverpool, it would be ironic that they could decide the fate of their two biggest rivals. Stay tuned for an incredible ending to this season’s Premier League.